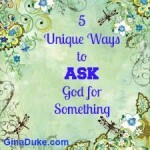 Powerful Prayer Tip Tuesday – Should You Pray God’s Will? 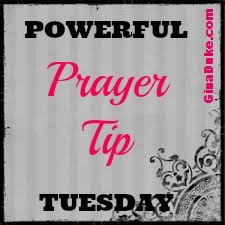 Welcome to Powerful Prayer Tip Tuesday! 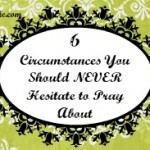 In order to have a powerful prayer life, it is important that we know how to pray. Often we pray in error. There are a lot scriptures that direct us on how to pray, but sometimes we have to glean some other insights into prayer by what is done and not said. 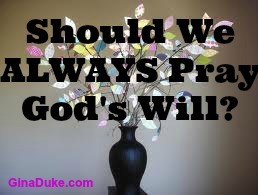 Which leads me to this question: Should we pray for anything else other than God’s will? When it comes to praying for healing, do you ever wonder whether or not you should just pray for God’s will? I think a lot of people struggle with this question, as I have in the past. In my book, “Organizing Your Prayer Closet”, I address this delicate question. Nowhere did Jesus advise His followers to instead pray for God’s will instead of healing. When Lazarus’ sister, Mary threw herself down at Jesus’ feet and exclaimed, ““Lord, if You had been here, my brother would not have died!” (John 11:32), Jesus wept. He did not instruct her to ask for anything else instead of her brother’s life. Do you ever have this inner conflict about how to pray for healing whether it be for yourself or a loved one? Jesus faced the same thing for himself, and we are always safe to follow His lead. Jesus may not have been sick but He was about to face death. In the moments proceeding the beginning of the end to His earthly life, Jesus prayed for an alternative – 3 times. Then Jesus went with his disciples to a place called Gethsemane, and he said to them, “Sit here while I go over there and pray.” 37 He took Peter and the two sons of Zebedee along with him, and he began to be sorrowful and troubled. 38 Then he said to them, “My soul is overwhelmed with sorrow to the point of death. Stay here and keep watch with me.” 39 Going a little farther, he fell with his face to the ground and prayed, “My Father, if it is possible, may this cup be taken from me. Yet not as I will, but as you will.” 40 Then he returned to his disciples and found them sleeping. “Could you men not keep watch with me for one hour?” he asked Peter. 41 “Watch and pray so that you will not fall into temptation. The spirit is willing, but the body is weak.” 42 He went away a second time and prayed, “My Father, if it is not possible for this cup to be taken away unless I drink it, may your will be done.” 43 When he came back, he again found them sleeping, because their eyes were heavy. 44 So he left them and went away once more and prayed the third time, saying the same thing. 45 Then he returned to the disciples and said to them, “Are you still sleeping and resting? Look, the hour is near, and the Son of Man is betrayed into the hands of sinners. 46 Rise, let us go! Here comes my betrayer! Matthew 26:36-46. In each of His three instances of prayer, He prayed his personal request, then God’s will. I think this is the perfect way to pray. We can pray for life, healing, reconciliation, restoration, provision, etc. all against the backdrop of God’s will. I think it is merciful of God to allow us to pray this way. Can you imagine how difficult it would be to pray for your child or another loved one, and be required to pray God’s will when you so desperately want to pray for healing? In 2000, I was told three mornings in a row by doctors that my husband’s chance of surviving an atypical pneumonia “was out of our hands”. Once while showering I fell to the floor and begged God to heal him. Thank God that when we are in the middle of an emergency we can cry out for God’s healing hand. Do you agree? As far as God’s will being done, that is always my backdrop, my foundation, and my default position. This is the only way that God’s answer, no matter what it is, gives me peace, and hope. Click here to see some other fabulous blogs that I link up to through the week! 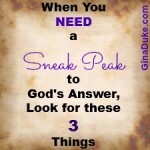 Gina Duke is a blogger, speaker and author of “Organizing Your Prayer Closet” (Abingdon Press). She also owns a Human Resources consulting firm where she conducts training, executive coaching and recruits automotive professionals for top automotive suppliers. She has a Bachelor of Science in Organizational Leadership and is currently completing her Associates degree in ministry. Gina is on staff at her local church where she serves as Director of Women’s Ministries. You may subscribe to her blog at GinaDuke.com or follow her on Twitter @TheGinaDuke. If you enjoyed this post, why not share it??? Thank you!!! Hey Gina, I’m not sure if I’ve visited your blog before, but I’ve seen you in the Wedded Wed link up each week for a while now and unfortunately not been able to visit due to my current “crazy” schedule. But I’m so glad to find a moment to stop by today. I think you make some really well-thought out and solid points about praying God’s will, Gina. And I think I land right about where you do based upon this post. I also think about the verse in Romans 8 that says the “Holy Spirit intercedes for us” since we don’t always know what to pray. It’s good to ask for our desires, but know that God’s Spirit will work in that prayer to bring about His will–which is always the better than anything we could imagine! Thanks for this thought-provoking and wise post, my friend. Thank you for your comments. I agree with you, too. Thank God we have an intercessor. Not only is marriage messy, but our prayer lives can be, too. thought provoking post to say the least! all I can say is when my husband was diagnosed with prostate cancer, the Lord gave me a revelation of the Blood. Of the Cross. 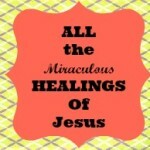 Of how Jesus died to forgive our sin AND Heal ALL of our diseases. I cling to that truth and give HIM praise for a husband who is cancer FREE! There are so many situations we have no answers for ~ we can only search the Scriptures and go to prayer to find the heart of God. 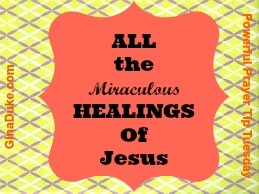 Jeannie, praise be to God for your husband’s healing!